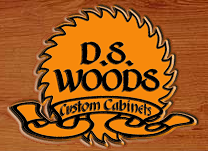 At DS Woods Custom Cabinets we build beautiful cabinets that will work with your lifestlye and decor. Our craftmanship and attention to detail insure that your cabinets will last for years to come. We have built cabinets for irregularly shaped spaces, in newer homes, older homes and homes just like yours!